Luxe Showroom is passionate when it comes to listening to our customers dreams and turning them into reality. Our mission is to offer our customers unrivaled savings at a selection of hand-picked luxurious products & finishes. With more than 17 years of trusted experience, we collaborate with clients to create spaces that are built with style, purpose and function. Design specialists and experienced project managers work with our clients to create a look and feel that offers timeless elegance and unquestionable quality. Continually exceeding client expectations is what we strive to accomplish with every project, every time. We will meet in your home to embrace your vision and expectations in order to create your dream living space. Our award winning team will share ideas and discuss design options, take detailed measurements to create a custom design within your budget. Visit us or call to schedule your one -on-one consultation today. Our Mission: To provide high-quality home renovations and hassle-free service to our customers. What sets us apart: When you work with Prairie Homes & Renovations, we will provide you with one-on-one consultations from start to finish. Our installers will be professional, neat, personable, and we will treat your home as though it were our own. You can rest assured that you are working with an honest, reliable, and reputable company, demonstrated through our extensive list of referrals. Prairie Homes & Renovations is insured, bonded and licensed, providing a two million dollar liability insurance umbrella to protect our clients. 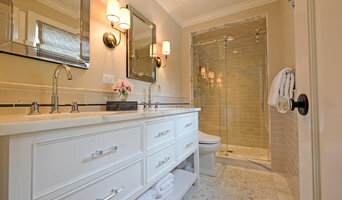 Orland Park's Award-Winning Kitchen & Bath Remodelers - Best of Houzz! From our humble beginnings in 1977, The Kitchen Master has grown to be one of the leading kitchen and bath design and remodeling firms in the western and southwestern suburbs of Chicago. We have achieved this through our steadfast dedication and expertise in designing and building beautiful and functional rooms. As a family owned business, we have built our reputation by our unending pursuit of perfection in every aspect of our services and our singular goal of complete client satisfaction. The Kitchen Master provides a trouble-free one stop design and remodeling service for kitchens and baths. The many innovative and beautiful displays in our 4,000 square foot design showroom will inspire you and help you visualize your new room. Our award winning and nationally published designers and our team of highly experienced employee craftsmen create and build rooms that are a reflection of your lifestyle. Thousands of local families will be happy to tell you about their pleasant and rewarding experience in using The Kitchen Master for their remodeling or design projects. We treat you like members of our family. Your home and property are carefully respected and protected. We want you to not only be satisfied with your new room, but we want you to long remember the how we cared about you and your family. We have 40 years of creative planning and installation experience in all of these services: Attractive and highly functional designs to fit your needs and budget. Construction of beautiful spaces from powder rooms to gourmet kitchens. Quality cabinet refacing with a wide choice of woods and laminates. 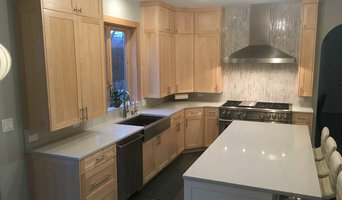 Custom countertops in a variety of different surfaces from laminates to marble. Design and cabinetry for home offices, laundries and entertainment centers. Do it yourself design services, advice and material purchasing. Request your kitchen or bathroom remodeling kit. "When I started Bayern Builders," says owner, Joe Wasler, "I knew success would only come if we stayed true to certain principles." After 17 years of exceeding hundreds of clients’ expectations, establishing and maintaining an A+ rating from the Better Business Bureau and never receiving a customer complaint when a job was complete, Joe knows he's doing things right. "I am so appreciative of every client who has entrusted us to work in their home. We will do everything it takes to ensure the work we perform for you exceeds all your expectations." Every job is different because every customer is different. But Bayern clients all have one thing in common. They're happy with the results. Joe attributes this to mutual respect and Joe's personal promises: *Cleanliness – We get it that construction is a big inconvenience and we go a long way to make sure we minimize the mess as much as possible. Many of our clients stay in their homes during the construction process and need it to be as clean and dust-free as possible. Knowing this, we set up plastic barriers to prevent dust from entering the rest of your home on every job and we vacuum each day before we leave. *Attention to Aesthetics & Detail – When you contact Bayern, you can be assured that I personally will meet with you and serve as the chief contractor and artisan for your new space. I bring creative, practical insights to every project and ensure the end result is nothing less than spectacular. My crew and I take great pride in our attention to detail and workmanship. Every piece of molding fits right, every finish is installed perfectly. *True Client Partnerships – You have ideas about your space and you can be sure I will too once you invite me into your home to talk about your remodeling or renovation needs. I greatly enjoy a collaborative process with my clients that melds their vision with my experience and expertise. No matter how long it takes to complete a project or what changes and challenges crop up along the way, my crew and I will be there at every step to make sure the finished job equals the vision. I guarantee that when the job is completed you not only will you love the outcome, but the way in which it was performed, as well. - Joseph R. Wasler President and Owner of Bayern Builders, Inc.
Planning a home improvement or renovation project for your home or business? We can do the job for you. Peak offers the highest level of professionalism and reliability in providing our customers with detailed plans and experienced workmanship. Peak offers an array of remodeling services, ensuring a "one-stop-shop" experience. A knowledgeable project manager will organize, design and implement every facet of your project. Therefore each component is done properly and in an efficient and timely manor. Your project manager will always be available to accommodate specific requests, unanswered questions and absolutely any concerns throughout the life of your project. Customer satisfaction and quality workmanship has always been and continues to be Peak's trademark. Your satisfaction will always be our ultimate goal. What does a Westmont kitchen and bath remodeling expert do? 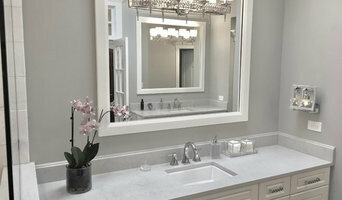 Licensed Illinois kitchen and bath remodelers are contractors who specialize in altering the structure of an existing space, rather than building one from the ground up. Because he or she must deal with a previous builder’s work, the job can get more complicated than new construction. You might wonder why they often specialize in both kitchens and bathrooms, but if you think about those two spaces, they actually have a lot in common. Kitchens and bathrooms include an abundance of fixtures that require careful planning and installation, including sinks, faucets, tubs and toilets that all need water hookups and drainage. They also use similar materials, such as tile and stone for countertops and flooring, due to the nature of their use. So it makes sense that Westmont kitchen remodelers and bathroom remodelers be one in the same. A bathroom or kitchen remodeler translates architectural plans from page to reality; some are also trained to provide design services so that you don’t have to hire a separate pro. Like a general contractor, a kitchen and bathroom remodeler in Westmont, IL is responsible for hiring and supervising subcontractors and providing materials when necessary. 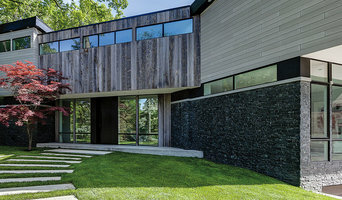 They also should have a thorough knowledge of Illinois building codes and construction-related legal issues, as well as current design and product trends. Here are some related professionals and vendors to complement the work of kitchen & bath remodelers: Woodworkers & Carpenters, Kitchen & Bath Designers, Interior Designers & Decorators, Architects & Building Designers, General Contractors. Find a Westmont kitchen and bathroom renovator on Houzz. Narrow your search in the Professionals section of the website to kitchen and bathroom remodelers in Westmont, IL. You may also look through photos of Westmont, IL spaces to find kitchens or bathrooms you like, then contact the bathroom or kitchen remodeler who worked on it.